Get HOS and records of duty status, GPS tracking, WiFi hotspots, sensor data, DVIRs, document capture, and more, all on one platform. 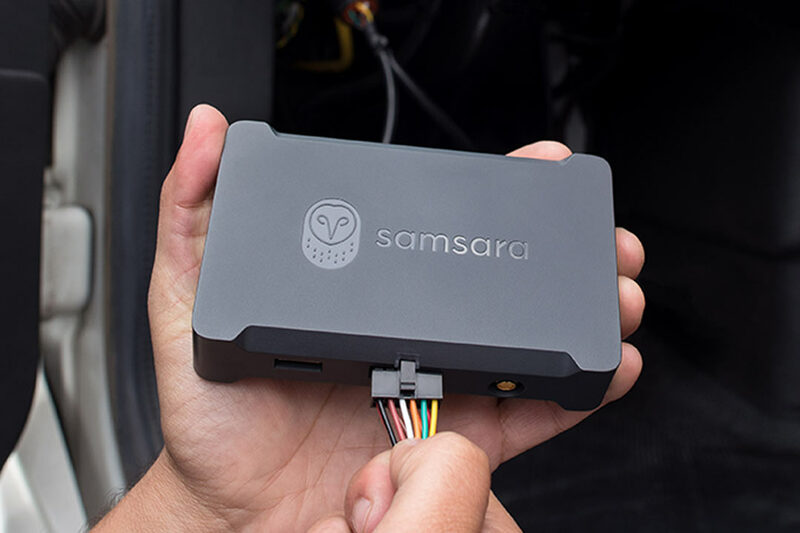 With built-in WiFi hotspots, Samsara eliminates the need for cellular data plans and keeps your fleet compliant, even in areas without cellular reception. 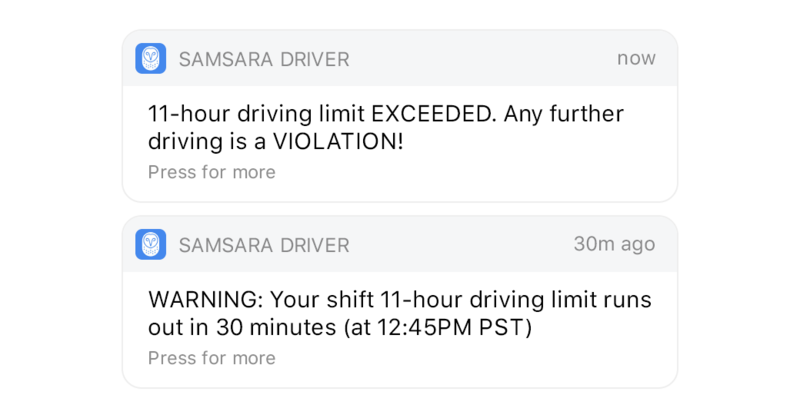 Samsara’s Driver App brings FMCSA-approved ELD capability to any Android or iOS device, avoiding the cost of proprietary e-logging hardware. Vehicles transmit live data via Gateway. Drivers log hours using Driver App. Managers track HOS logs & violations in Dashboard. 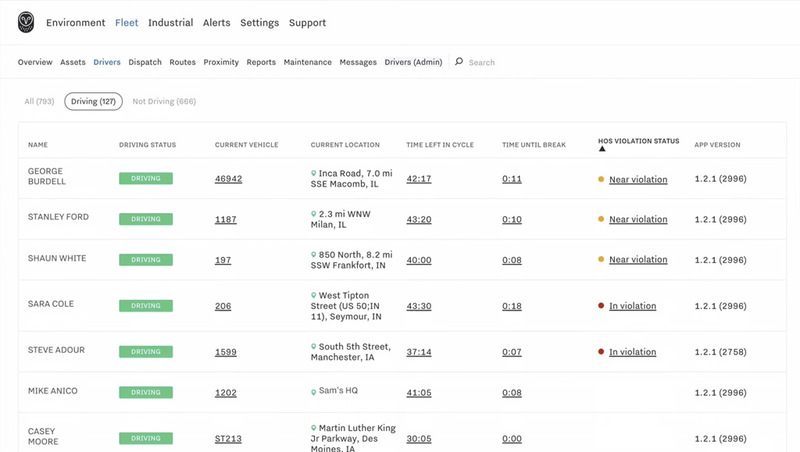 With real-time visibility into every driver’s logs, dispatchers can easily take drivers’ status into account when planning routes to avoid Hours of Service violations. How does HOS compliance affect CSA scores? With our easy-to-use dashboard, you can review driver logs and suggest log edits to ensure your e-logs are up to date. Our Unassigned HOS report makes it easy to maintain clean driver logbooks. Track unassigned driving time and assign hours to the correct driver with a single click. 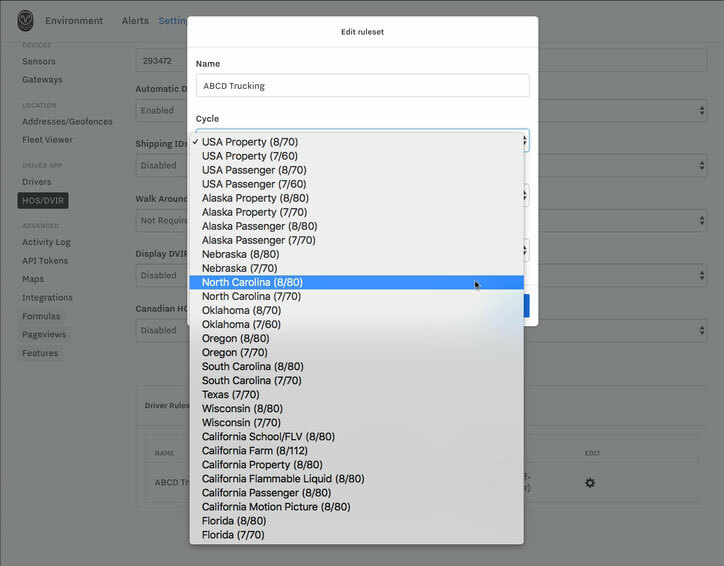 Rulesets automatically switch based on your driver’s location for seamless ELD compliance. Samsara covers United States Interstate, United States Intrastate, and Canada rulesets. Commercial motor vehicle drivers can easily edit, review, and certify Hours of Service logs right from the Samsara Driver App. 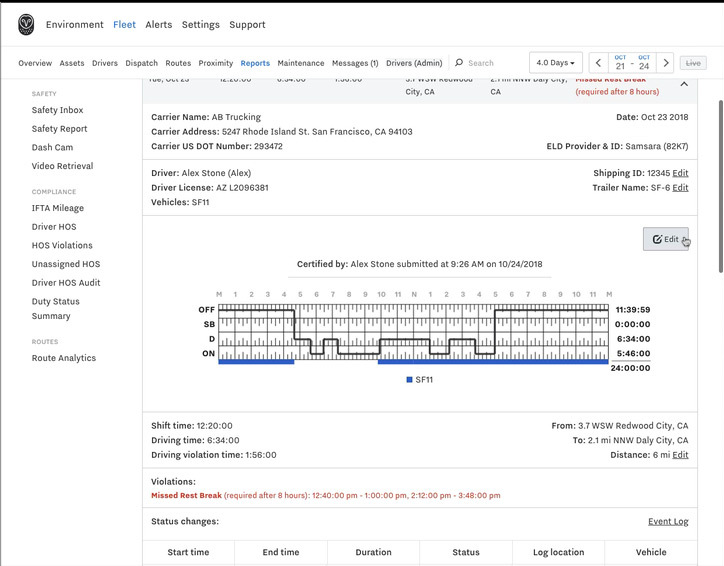 Carrier edits are instantly sent to drivers for review and certification to keep your HOS logs compliant. 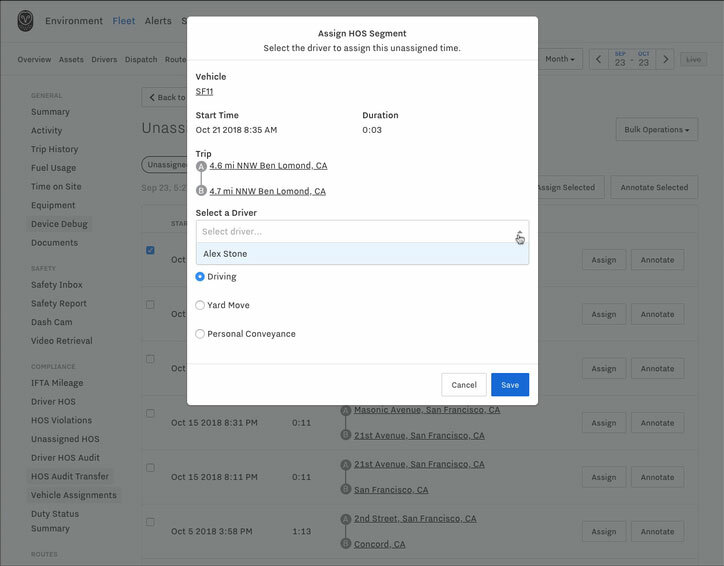 Drivers can set their duty status with one click, and driving statuses automatically update based on vehicle data, making it easy to keep accurate e-logs. Commercial drivers receive real-time alerts when nearing violation to help make sure they stay compliant during their shift. Simple HOS countdown clocks give drivers an easy way to track their shift times to prevent violations. With up to date logs and built-in log transfers, drivers can feel confident during DOT inspections. The Vehicle Gateway plugs right into your vehicle’s diagnostic port, and takes less than 10 minutes to install.